Confessions of a 20-something Scrapbooking Mother: Goodies to share and a RAK! I am such a lucky girl! I was given a little bit of money and gift cards to spend on MYSELF for Christmas. And what did I do with almost all of that money?? Bought things for the boys, of course. Lol. Bought Aaron a few new cups, Alex a few new bottles, bought some things to make Alexander's baby food (anyone done this? Advice? ), had to order a toy for Aaron from Amazon because I couldn't find it anywhere (the Yo Gabba Gabba Dancing Brobee! ), and I got some other little things that they needed. I did have some money left over though, and got this stuff! I got some of the Martha Stewart products on sale, including a yummy Christmas paper stack, some glitter, and 2 acrylic stamp sets. The paper and glitter were only $4! YAY! I also got some things on sale at ACMoore. 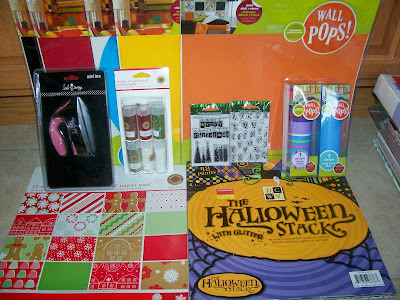 They had a bunch of clearance things, so I got the Halloween stack for $5, and the Heidi Swapp mini iron for $3. I love the Halloween papers, and hopefully I can finally get the boys Halloween pics scrapped! Then I got some Wall Pops-black, red, orange, yellow, blue, and a cute pink and purple striped border that I'm going to put in my scrap room. I didn't even spend $30 for all of that. ;) I love a deal! THEN, a few days ago I went over to my friends house and she gave me all of this and MORE! She used to own the LSS that I worked at, and these were some things she had left. (Also, besides the things for me, she gave me a ton of kiddie stamps and 20-30 decorative scissors to add to Aaron's craft stash!) I got a Coluzzle envelope template, a bunch of great idea books that perfectly fit my style, about a 4 inch stack of paper (PAPER!!! ), TONS of stickers and embellies, 2 Bo Bunny class kits, 2 Karen Foster 12x12 rub ons, a bag of ribbon (!!!!!!!! ), 2 Scrapbook Girl tees (I LOVE the green/pink one! ), and a lot more. To be fair though, I won't be keeping a lot of it-a bunch of it is for my 15 year old sister who I've just gotten started scrapping! Now I'll always have a buddy to scrap with, since she lives behind me. ;) Isn't all of that wonderful! I'm so happy about all of this because I am now on a spending ban. Ughhh. Just saying it makes me cringe! YUCK! So from now on I will only be buying necessities like cardstock and adhesive. At least thats the plan! I will also add some other goodies before I send it out of course! All you have to do is leave a comment and I will have Aaron pick a name out of the hat next Saturday the 10th! I will put your name in twice if you link me on your blog! What will you be doing tonight? I haven't been up to see the ball drop in years. I think I will stay up tonight. We'll see! Maybe I can keep myself awake by staying in my scrap room until about 11:30! I hope you have a happy, happy New Year! Thanks so much for stopping by! Nice blog. Adorable boys. Nice rak. Thanks for sharing. I am linking you in my blog!! HAPPY NEW YEAR!! great blog! awesome finds on clearance. Happy New Year! Wow! You have so many new goodies! I love the DCWV Halloween stack. I can't wait to see what you make with all your new stuff! Have a Happy New Year! Hi Becky! Love your blog. I opened a blog a few months ago but haven't added anything to it in months. I couldn't think of anything to say. My resolution this year is to add at least 1 thing to my blog each month. For January it will be a link to your blog!!!! What a great RAK! Thanks for the opportunity and thanks for sharing! Nice blog! You got some great buys. Enjoy your new goodies. Love those Mickey stamps! Thanks for the kind RAK. Happy New Year! Thanks for doing the great RAK and giving us the wonderful chance. 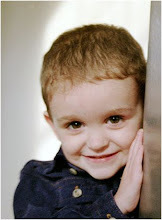 Great blog, cute boys, and wowzers, a Mickey RAK! WOW! Becky! You got some amazing stuff! 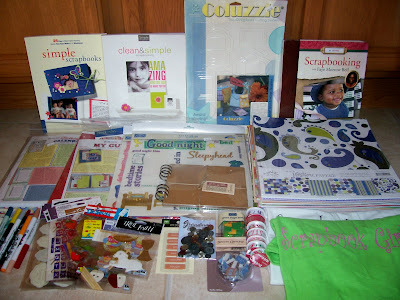 What a sweet friend to give all of that to you, and how sweet that your sister is going to be scrapbooking! I cannot think of a better hobby for anyone!! I love that Christmas and Halloween paper that you purchased! You are my kind of girl, because I love a good bargain, and I love shopping clearance for GREAT stuff!! 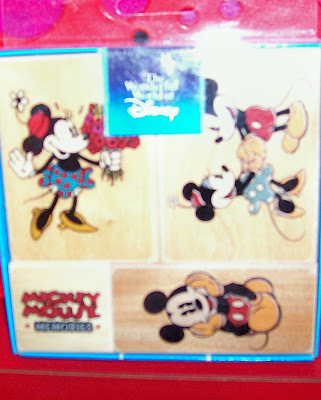 OK, normally I say, don't enter me for the blog candy, but then you had to go show a Mickey stamp set! Oh. my. goodness!! My girls and I would have so much fun with that set, because we are going to be scrapping our DISNEY photos very soon! So, this time, I would love to be included in the draw!! You are such a sweetheart!! Spending freezes can be a good thing! It's freeing and liberating to use what you have! When you feel the need for something, enter drawings for RAKs, etc. I'm going to try to spend only for adhesive and cardstock. I just have so much! I also need to do a HUGE giveaway on my blog. I just need to get organized first, and then I will do just that! HAPPY NEW YEAR!! I hope this year is wonderful for you and your family! It's going to be fun to see how those two cute little boys grow this year!! I love looking at photos of them!! OK, I've babbled enough! Sorry for the lost post!! HAPPY 2009!! Wow, that is a great RAK, please add me - I love your blog!! Beautiful color scheme in your blog. Thanks for doing a RAK! Those Mickey stamps are way cute! How sweet of you to do a RAK! I have boys also they are a lot of fun! Let us know how you like the Iron I have been looking at get a small Iron for my craft room. Thanks again! Looks like you got a bunch of goodies!! Way to go! wow!!!! lots of goodies in those pictures!!!! My biggest recommendation for making your own baby food (kudos to you) is make sure that it is well cooked. When my daughter was little we ground most of her food. It was great knowing exactly what she was being fed! I'm mad I didn't find that Halloween Stack yet!... Ohhh I soooo wanted it!..